Easy enough for users of all experience levels to make GIF. Real-time preview of every step. 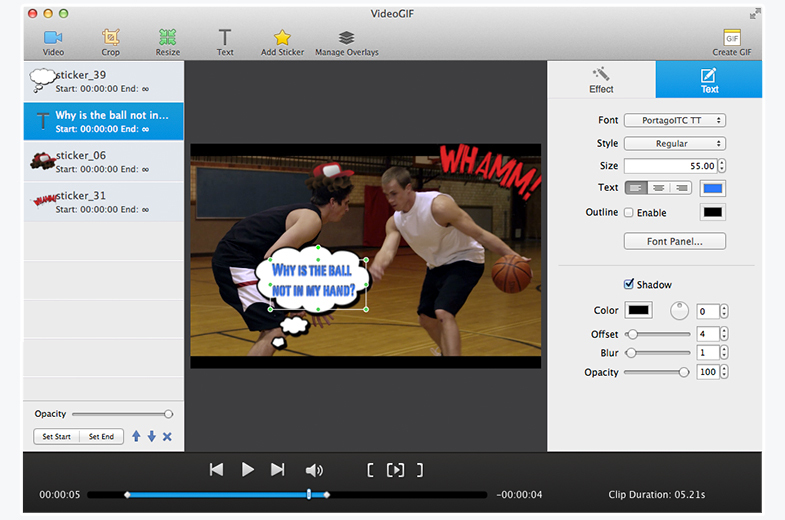 Creating animated GIF from video clips is a few clicks away. 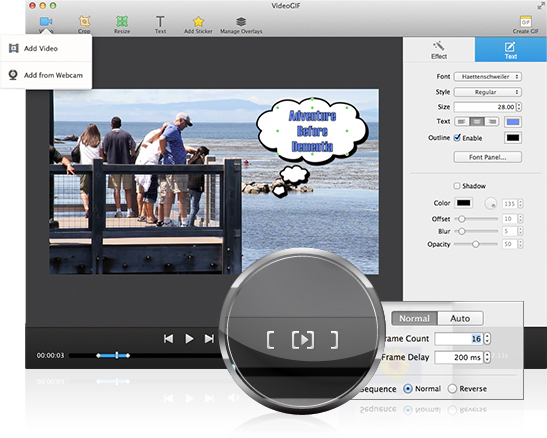 Add video using local folder, YouTube or Webcam. 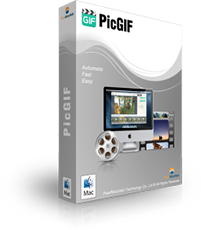 Trim any part you like of the video to create animated GIF. 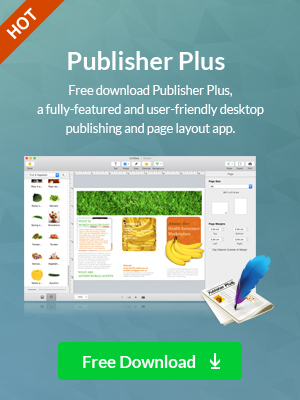 Insert and customize text at ease. 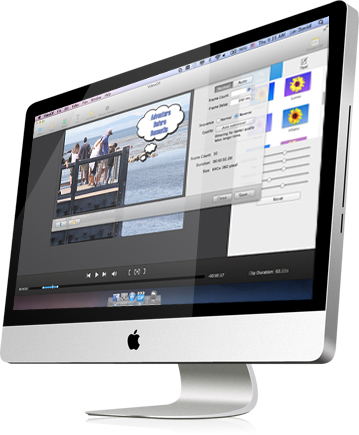 Free to manage overlays of stickers and texts – Freely set their opacity and adjust layers. Customize the frame range for stickers and texts. You can decide the start frame and end frame that will display the sticker/text. 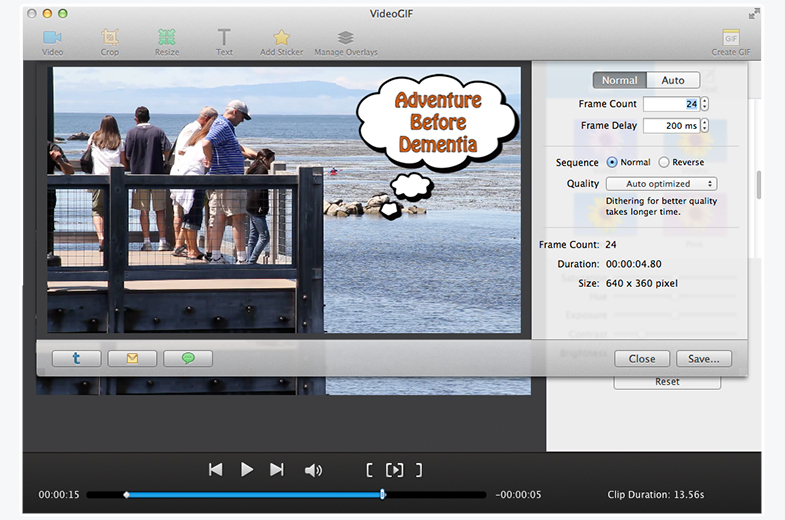 Adjust GIF speed with real-time preview. Options of "Normal" and "Reverse" are available to make the GIF show sequentially and reversely. 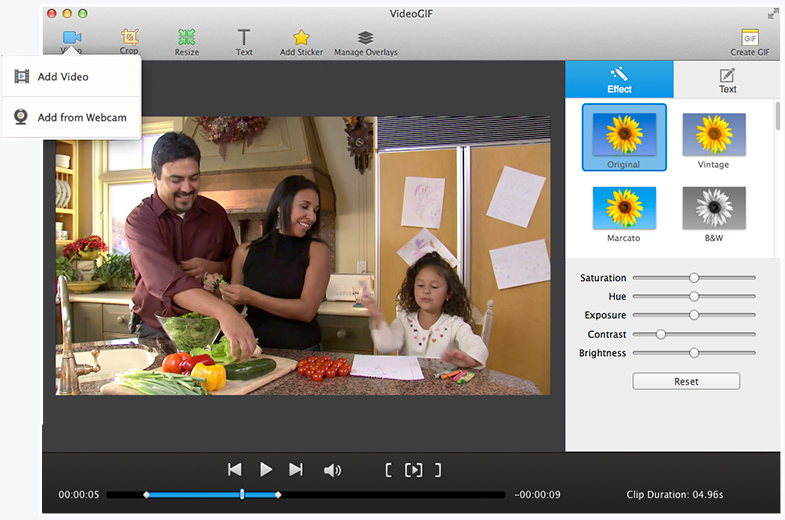 Easily crop the video clip by ratios/custom, or drag the handles to manually crop it. 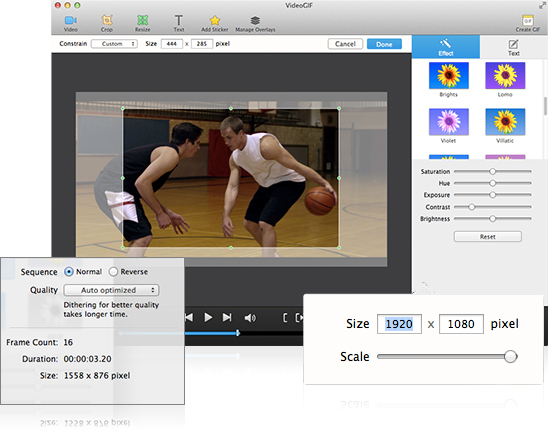 Resize the clip to reduce its size. Add wonderful stickers to refine your GIF. Rotate texts & stickers at will. Fine-tune saturation, hue, exposure and contrast, etc. at ease. 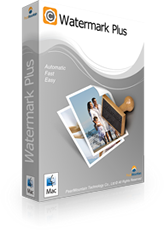 Apply popular filters including Vintage, Sepia, Black & White and more. Support quality optimization of final GIF. Share via iMessage (only for Mac OS X 10.8 or above). I have found this app accidentally. But it can make everything that I need in my everyday life. Thank you! Very easy to use application, I’ve always looked for an app you can create gifs easily from videos! The user interface is very friendly and you can learn using the app quickly. Recommended! 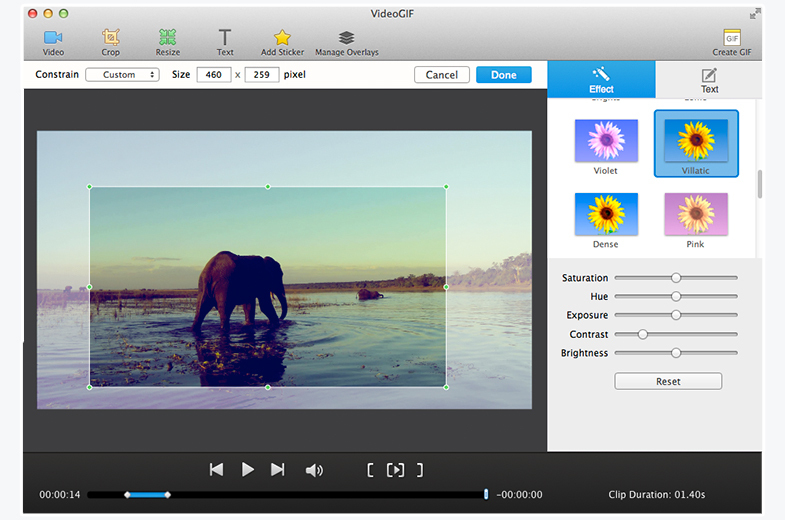 VideoGif is very simple to use. It is not only support video, and also support shooting from the webcam. I kept trying to download a git off the internet but they didn’t have what i wanted. For now I can make gifs about anything I want. It’s a simple use and great useful app.